If you had told me a year ago that I would be voluntarily cooking, and enjoying, something called fiddleheads, I would have thought you were nuts. But here they are! One of our recent CSA items in our crop share was fiddleheads! These puppies are only available for about two weeks every year, so I was determined to get some and try them out. 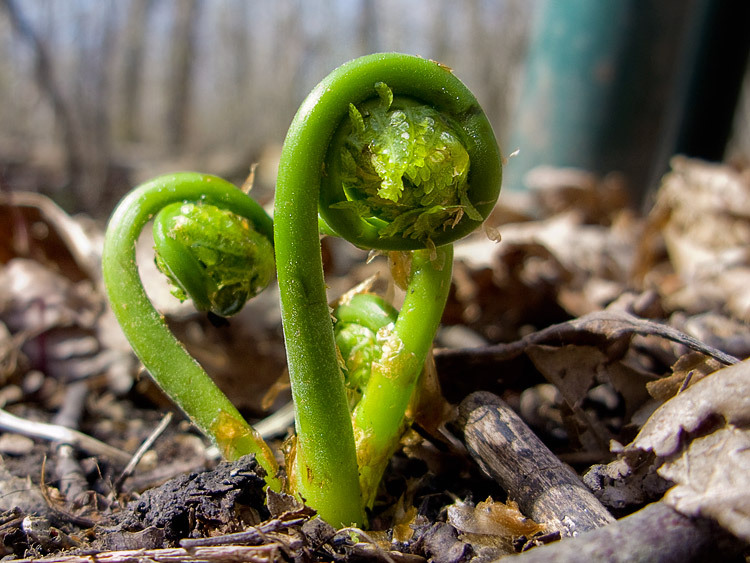 Fiddleheads are part of the fern family. They are essentially just baby ferns before they unroll into the regular ferns you see out in the woods. But they’re harvested before they have a chance to unroll. Again, bear with me and the crappy camera and bad lighting. Our apartment is extremely dark. Remove brown papery covering from fiddleheads and boil for 10 minutes. Drain and rinse. Add 1 tbsp extra virgin olive oil to a large skillet and saute fiddleheads, mushrooms, onions, and garlic. One minute before removing from heat, add red pepper flakes and white wine. 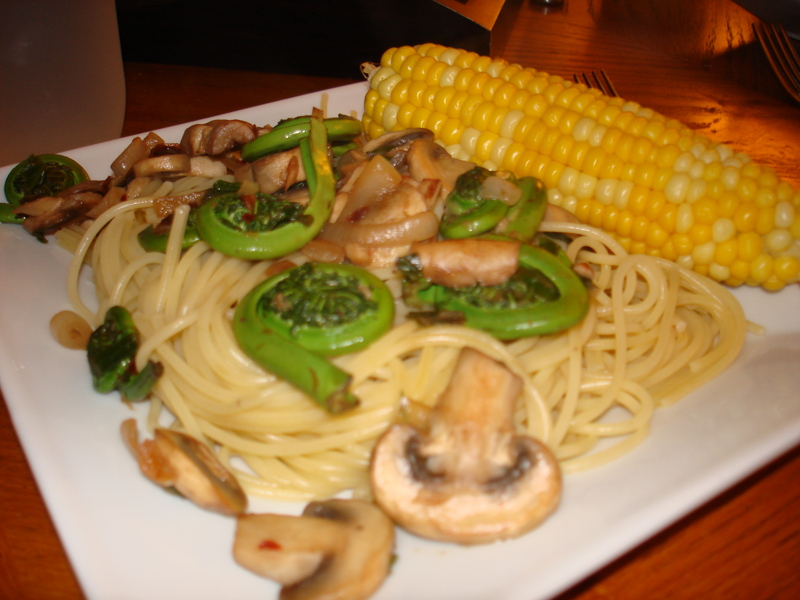 Mix sauteed veggies with pasta, drizzle with olive oil, and enjoy! Next time we make this we’re going to try some kind of light garlic sauce. But it was delicious with just the olive oil too!